Please click here for the notice of the public hearing for the Community Development Block Grant (CDBG) Program. The purpose of this public hearing will be to report on past CDBG program activities and to receive public input on community development needs and suggestions for future CDBG projects. The Board of Directors has released two NMSBA documents. One is the “Feasibility Study of Renewable Energy Development At Arch Hurley Conservancy District” and the other is “Conclusions of Arch Hurley Conservancy Irrigation Project – Summary”. They can be found here and here. They are pdf documents and require a pdf reader to be able to see them. There is a new document from the Farm Services Administration. Click here to view. The Board of Directors has released the NMSBA Project Canadian Watershed River Flow and Precipitation Analysis. It can be found here. This is a pdf document and requires a pdf reader to be able to see it. The Board of Directors has released a document outlining the district accomplishments in 2012 and plans for 2013. It can be found here. The newest announcement is from the Office of The State Engineer and can be found here. It is in pdf format and requires a pdf reader such as Adobe or Foxit Reader. Please call the Arch Hurley office if you have problems. The newest document is the historic lake levels provided by the Corps of Engineers. It covers the period from 1943 to the end of 2012. It is here. You will need Microsoft Excel to open the document. The Planning and Regulations document which can be found here. We have added a lot of documents regarding water usage on the La Cueva Canal and Ranch in Mora County for public viewing in the days to come. The list of print documents are on the document sub-page here. See below for current maps of completed and active adjudications and surface water basins in New Mexico in general. Click here for the flyer from the Office of the State Engineer giving times and places for the public meetings dealing with the updates to the state water plan. Click here for the Board resolution respecting the removal of water rights from within within the Arch Hurley Conservancy District. Click here for the Board resolution establishing a policy relating to the reimbursement of “Reclamation Reform Act monetary penalties”. 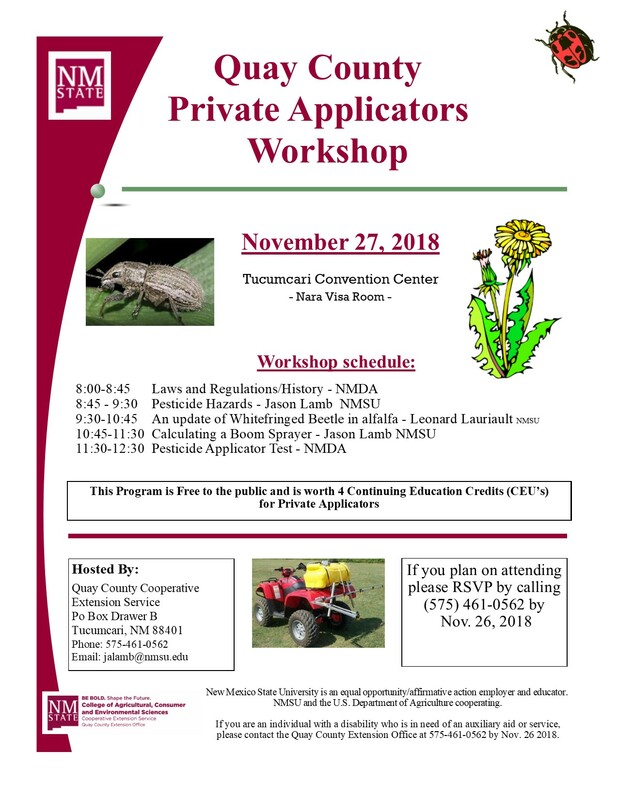 Click here for the Pesticide Applicators Workshops informational letter. 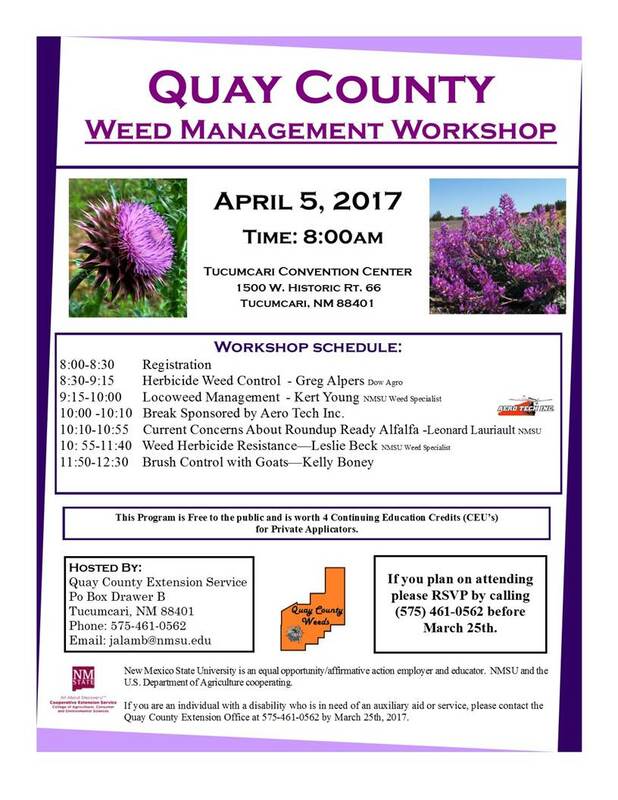 Click here for the Pesticide Applicators Workshops brochure and schedule. 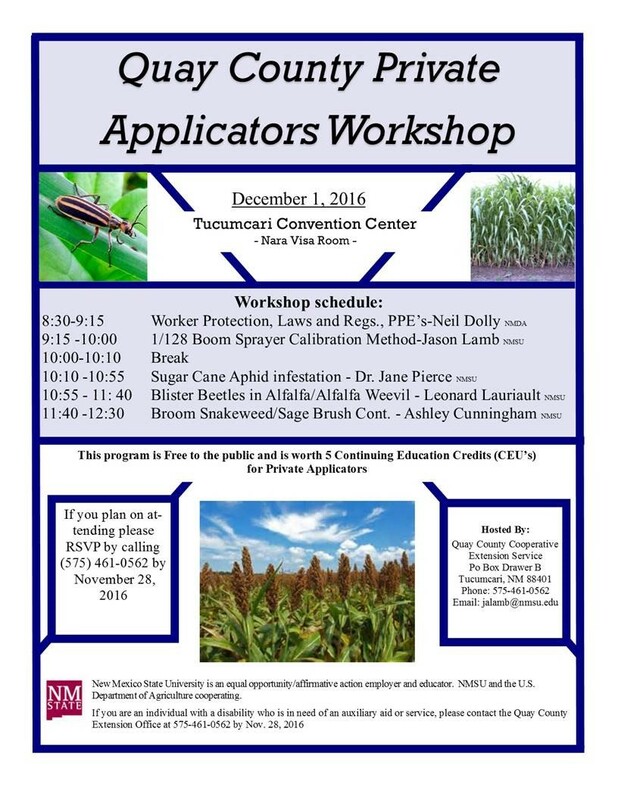 Click here for the Pesticide Applicators Workshop registration form. Click here for the updated Mission and Goals Document. The District would like input from water right holders. The Board of Directors approved the attached goal-based strategic plan for all of the Arch Hurley land owners to give input into their ideas for some short term and long term goals for the district. Click here for the document, print it out and write down your ideas and return to Arch Hurley before the August meeting. This is a great chance for the Board and management of the District to get the water right holders input in long range planning. Thanks for your help. Available to the public is the answers the attorney wrote back to the district manager concerning the steps needed for the District to maintain the integrity of and the protection of the District’s license. Click here for the document. There was a request for information about the Springer and Maxwell irrigation districts in Colfax County. Click here for a document that gives details on all irrigation in Colfax County.